Success in love, family, work, finance and home” is waiting for you – as you become who you came here to be. You are a very powerful being. No one else exists quite like you upon the whole surface of Earth. YOU ARE UNIQUE. The way your brain is wired, how you process the information that you access is special too. Again no one else on the planet’s surface is exactly like you! You deliberately chose to be here now, to be an active part of life within this incredible shifting time frame. Even in your own life span you have witnessed many changes” and you specifically chose to be here to ease more in! All your experiences up to date have brought you to this point in evolution, self-development and fine tuning. You are important not only to those who know and love you” but also to life itself in a very real manner that you may not always comprehend as you walk through life. All you think, say, intend and do, has a knock on effect or a real time charge that travels somewhere. All connects and adds to life and karma to then play out according to that instruction, thereby adding your own continued input or live twist to the greater matrix program of human behaviour and life’s unfolding bigger picture as time ticks on. Yet who are you? What is your story? What powerful message, action or information do you contain? What are you here to enhance? What are you able to change? What do you feel most strongly about, in fact so strongly that you will utilise your free will and voice to make a difference? What did you come here to physically birth and then deliver? What will you contribute with time spent here” as your offering back to life and to the planet? Remember no two people are exactly alike in every way. Many can be similar, with similar likes, dislikes, outlooks, hopes, dreams, goals and past experience. They may walk what seems a similar path and share their journey for a while, but each one is a soul individual, a soul incarnate for a limited period; a soul alive today with a mission and higher purpose of their own to uncover or fine-tune, or to contribute something particular to make a difference, something they alone can only do” whether alone or in collaboration with others of like mind, and the same thing will be true also for you too! My own purpose is to help you to develop; to empower, enhance and help in your awakening, as you tap in to the wonders, gifts and talents that you possess – to ease your life and journey now, and to enrich what you are trying to achieve. My work is a bridge; it’s a key to higher knowledge and understanding that will unlock latent potential and spin your life around, to be better and more productive in ways that will excite you” daily. From your first breath to your last you are a living work in progress. There is nothing you can’t achieve or overcome. Health, wealth, success and deep long lasting love are already within your own reach, you only need know how to open these streams – to let them flow in. So, are you ready to enter this new higher level of being? Will you let go of stress, constant worry and lack and clear the channel to allow better things in? Life’s own abundant flow of creativity, health, wealth and energy is waiting to work with you now. Are you ready to receive, to enrich and enhance your supply? 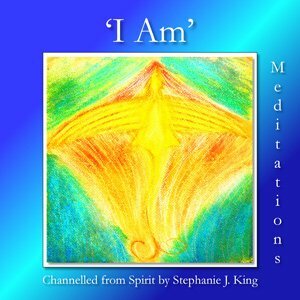 Will you let life your higher self – help you, to create and then contribute your potential? Remember that your best efforts will benefit all” and what you give freely out bounces back much increased” always, as part of the universal laws of self- improvement, cause, effect and attraction! You have free will and intelligence, a voice, a heart and a good thinking head on your shoulders. Are you ready to explore many more ways to efficiently use them? For two decades I have channelled information to specifically aid you in unfolding this process, to take you forward; for what we achieve and do with life here remains encoded within our own soul for eternal time” unless we opt to come back here again to try to change this. The fact we just didn’t know our present life purpose or that these things were actually real” no-longer will wash! Life is easy when you know how to work and read it better, to painlessly manoeuvre and slip past presenting obstacles, as my incredibly easy to use material will show you how” without increasing effort. The rest is now up to you|Success in love, family, work, finance and home” is waiting for you to collect it, as you awaken your latent potential and be who you came here to be. You are a physical being made up of pure energy (soul) and matter (body). 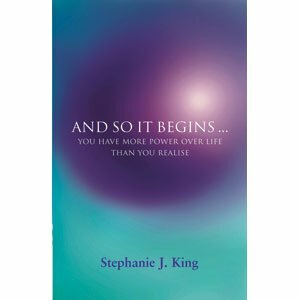 You know experiences you’ve lived through, the thoughts and feelings that you produce and carry and also what’s going on around, but you may not know fully your true potential, your soul agenda or higher purpose, you may not know what’s around the corner. Most of what you’ve done to-date has been centred around life’s physical. But this is only half of life’s whole bigger picture that continuously plays out. More occurs on levels unseen to affect both you and life than you may realise, more cajoles and influences you on daily basis than the multiple choices and decisions you must take. Allot of what you do is in response to other people’s actions, yet you too have great potential and the power of free will, choice and intent. This is your life|Yours to develop and create and use exactly as you wish|As you will! The art of knowing how to develop yourself, to enhance where you are now, is a powerful process that will enrich the whole of your story for the rest of your natural life. It’s the difference between just existing” or actually creating a wonderful script that you will then live. If you are ready to take your life forward to a level where you’ll really love it; if you want the best for yourself and for family and others; if you want to stress and worry less; stretch valuable time and gain payback for valuable effort; then this material will be great for you, for no other soul can live the journey that’s destined as yours. Nobody else on planet Earth can fill your shoes. In the grand scheme of life, if you were asked how to do self development” what would you say? How would you describe it? Most people would think first about exercise, diet, looks and presentation; others would speak of further education or external achievement and knowledge, for they’d still be collecting life tools within their field. Not many would delve inwardly deeper, to understand a little better what makes them individually tick; why they feel, think, behave and believe as they do|If you were ever to be asked what specifically sets you apart and makes you” you” would you know? Do you know where you inner zest stems from; what makes you restless or strive ever harder; what your life is really about? Imagine you are writing your own self description. What would you write from the vantage point of knowing your self? What if your story was over? Would you be pleased with what you’ve accomplished? Or do you feel there’s still a lot more that can be done? All you achieve during this lifetime” you take with you to the next phase of your being. What you don’t finish here, you’ll want to try again, especially if it’s for greater purpose. You have the right to use life as you wish, but don’t leave to chance what you may wish you had actually finished. The natural behaviour of humans is that we group; we feel safe and at one when we’re with others of like mind, sharing experiences, knowledge, time, energy and space. Some people are natural followers, they prefer to step back, not liking to take on the lead role, perhaps not always confident with making decisions and the repercussion of responsibility that come with authority and leadership. Much of what they do stems from old pre-conditioning. My books will give you the confidence to cultivate and then keep a lead role! To be a good leader requires more than an ability to shout orders. Every person, whether quiet or loud will take a lead role at some stage in life, whether passive, aggressive or both. We each will portray different aspects of character at different times, for different reasons with different outcomes. A good leader must understand the logistics of not only what’s presenting” but what’s really driving behind the scene playing out. 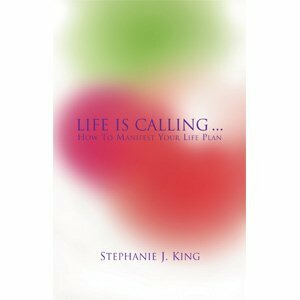 If you would like to understand more on this subject” AND SO IT BEGINS|and LIFE IS CALLING|are right for you. If you have enjoyed what you’ve just read, if its resonated within at any level, then the books and material we’ve channelled/downloaded, (in much the same way as Einstein’s and Mozart produced life changing works), will work brilliantly in tune with you” to help you develop, not just what you think that you need at this time, but higher development unfolding beyond what’s expected or usual! You know all thoughts you currently think. You know how you feel and what you most need to come in. You know what is happening within your own circles” and it’s from this point immediately that guidance will be given” to take you forward with ease, to get your whole life working better and you working with it, completely in tune with where you are! If you continue along the same lines you always have” you’ll simply attract more of the same. For things to get better, to develop you further, you need to understand how you hold yourself back, how you too program your life story unfolding. How you move forward from here” rests with you!